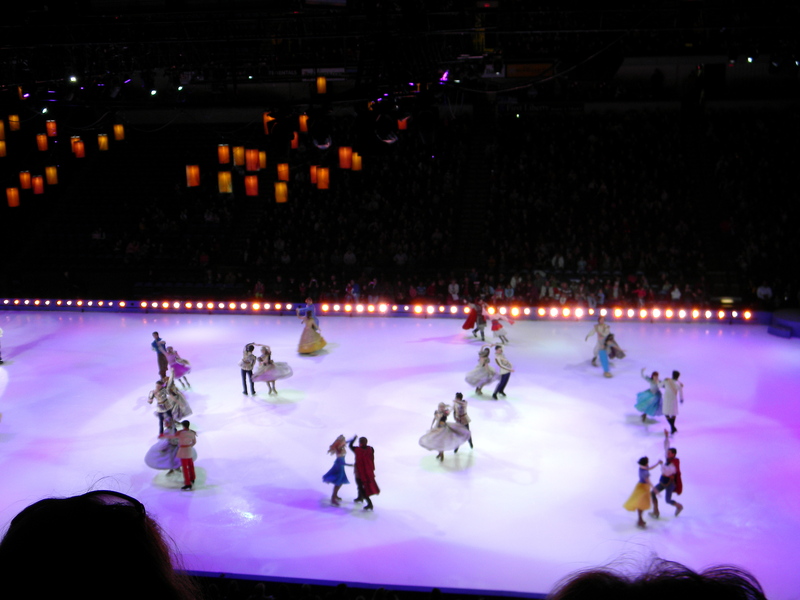 My office was offering discounted tickets to this show, and initially I thought that it was going to be a bunch of princesses on skates, so I declined the offer for tickets. I’m glad that a coworker told me that it wasn’t. We took Jack today and he absolutely loved the show! He couldn’t stop watching it and sat for the entire performance! I’m also glad that we are spending some good quality time with Jack before the new baby arrives as everything that he has known will change this summer. 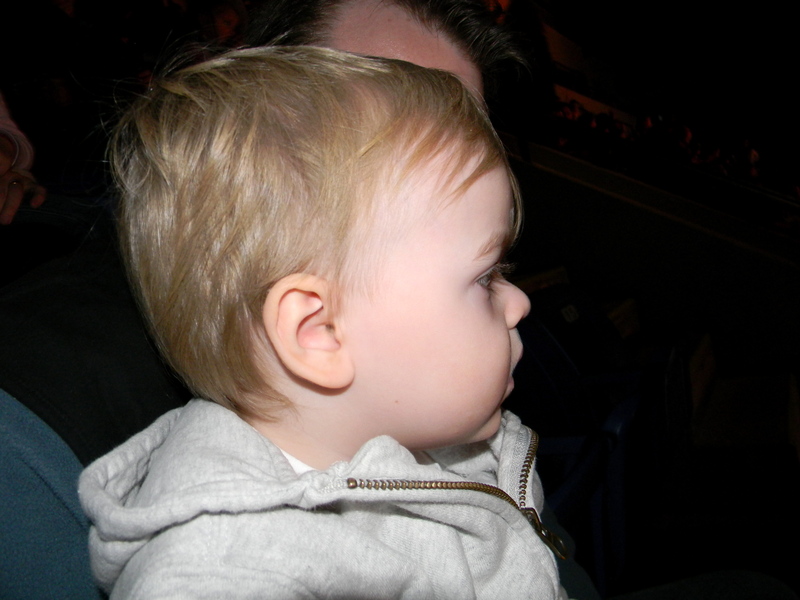 He loved The Lion King performance, the Tangled performance and Aladdin. Sounds like we need to get our hands on a copy of Aladdin! The Genie had him laughing out loud! Just a wonderful day with my little family. However, going to shows like this and seeing the grandmothers with their grandchildren tugs at my heartstrings a bit. It really breaks my heart that my mother won’t ever be able to take Jack to one of these shows, or do something just the two of them, and truthfully, he will never be able to do this with his other grandparents either as they live in California. Things that I loved about my childhood like having sleepovers at my grandmother’s house and being able to go out for breakfast to Burger King on Saturday mornings with my Aunt Lena were things that I adored. I just hope that Jack can have the same thing as he gets older. Unfortunately, it seems that my Mom has taken a turn for the worst and does not really have the strength to stand, let alone taking Jack to see a show or to come shopping with us. We just enjoy the time that we have with her. And if anything, she would always be with Jack in spirit when he goes to a show or when we are buying the next season’s wardrobe. My 16th week came and went in a flash. Now starting my 5th month of pregnancy. Five Months. Only 4 short months to go. Wow! Back to work, which was CRAZY! We should be hearing the big decisions of who keeps their job and who doesn’t in the next two weeks. A very nervewracking and busy time, but I just keep praying that I am one of the lucky few. Jack was thrilled to be back at school and spending time with his friends. Chris was right back in the grind as well, so there wasn’t as much of a transition as I had originally thought. I spent a good part of the afternoon with my mother on Saturday and we talked about everything under the sun. It was so nice to have her to myself to talk about anything and everything without someone always coming in to visit. We talked about the baby, about how she has been feeling, and possible baby names. It was just nice to have that time without constant people coming in the door for one day. However, I see how weak and frail she is. She is not in pain thankfully, but needs help walking and has blood clots in her left leg, which makes things very difficult. She still has so much to live for and hasn’t completely given up, but you can see that it is close. She is sick and tired of being sick and tired. We will all just continue to enjoy the time that we have with her. She was shocked with the size of my belly this week vs. last week and my weight loss. Speaking of weight loss, I had bloodwork for the Sequential Screen this week and a prenatal checkup. Bloodwork was done as the second portion of the screen, and the results came back that it is highly unlikely that the baby has any developmental disorders, which we are thankful to hear. My prenatal appointment however, did not go over so well. I was sat down and told that I should have gained 5-10lbs already and have lost additional weight since my last appointment. I’m down 19lbs from my pre-pregnancy weight. This wasn’t even the part of the appointment that upset me. The OBGYN has a hunch that I may not be able to deliver naturally again and may need a C-section. I am fighting this with him tooth and nail. My OBGYN that delivered Jack never once said to me that I could never deliver vaginally ever again. We will see that happens with this, but I am not complying quietly. 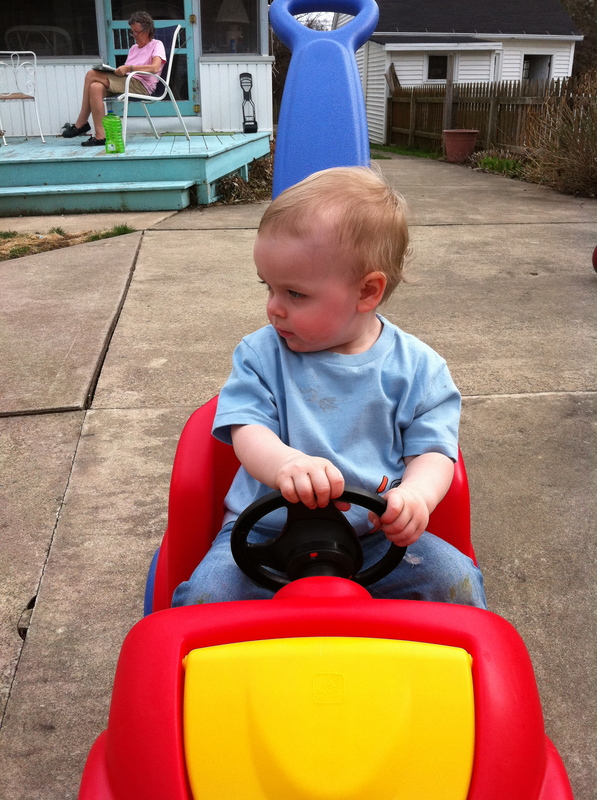 This makes me want to make the drive down to Philly and deliver there again instead. I’m seeing a specialist for a second opinion, but I absolutely don’t want to succumb to major surgery because my OB has a hunch. Maybe I am just being a little sensitive and hormonal, but I feel like I should have a say in my baby’s birth. Best moment this week: You are starting to move more, but it can’t be felt yet from the outside. Miss Anything? Sleeping on my belly. Still my favorite position! Anything making you queasy or sick: Yes- it varies. Gender: The appointment has been changed to January 27, so we will find out then! Happy or Moody most of the time: Still moody, unfortunately. Looking forward to: Finding out if we are having a boy or a girl in a few short weeks so I can start shopping! This year I am lucky. 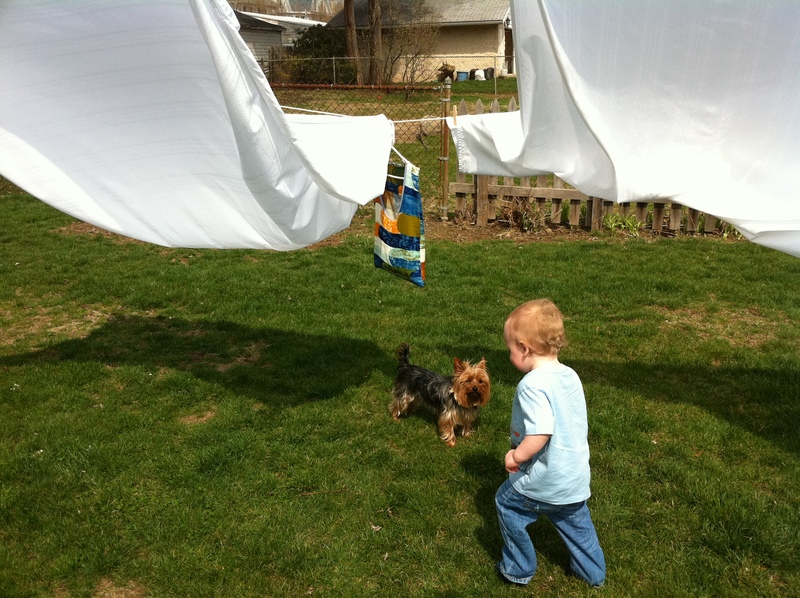 I count my blessings for my sweet little guy who is my reason for everything. Without him, I would not be a mother. 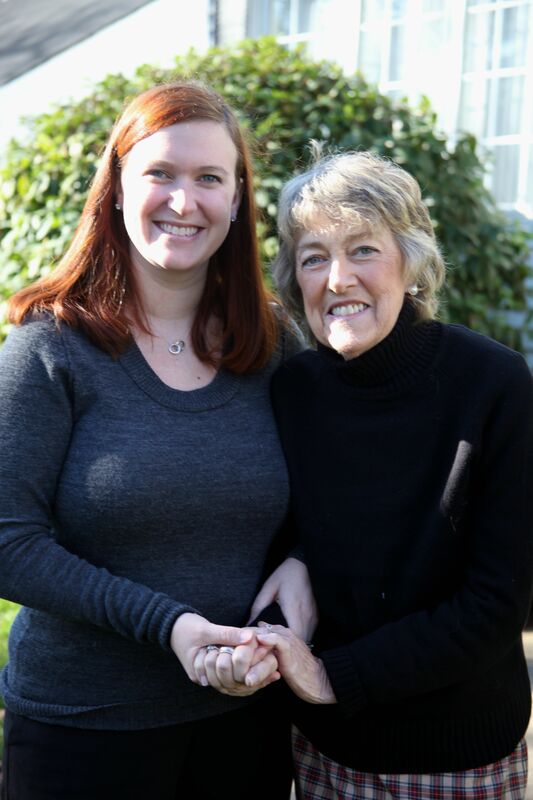 However, this year, my family was blessed that my own mother is here to spend another Mother’s Day and another year with us. Many more memories and hugs to be had. She was able to see another year of milestones, holidays, birthdays and smiles. Although we don’t know how much longer she will be here with us, we are cherishing each and every moment that we have with her. 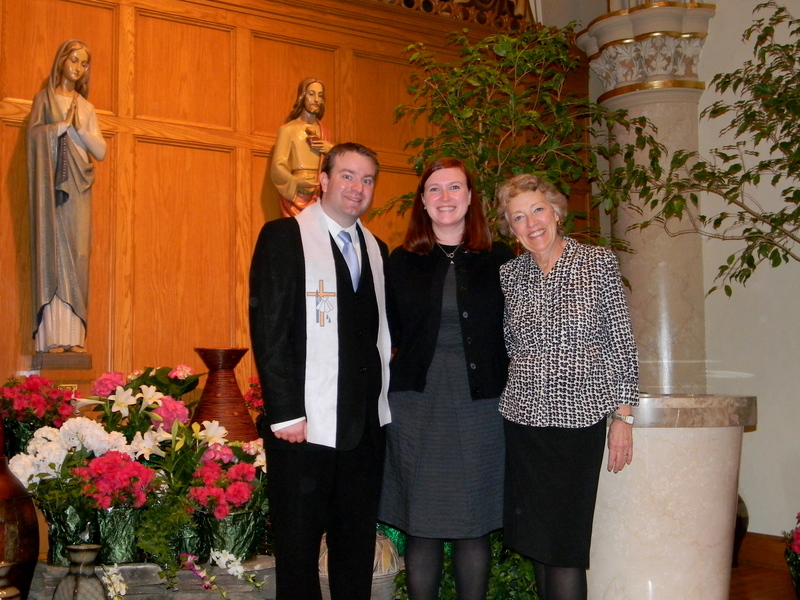 So today, we went to mass, had brunch and will spend the rest of the day in the sunlight and telling stories. My greatest gifts this year were another wonderful year with my mother and of course, another year as a mother to little Jack. 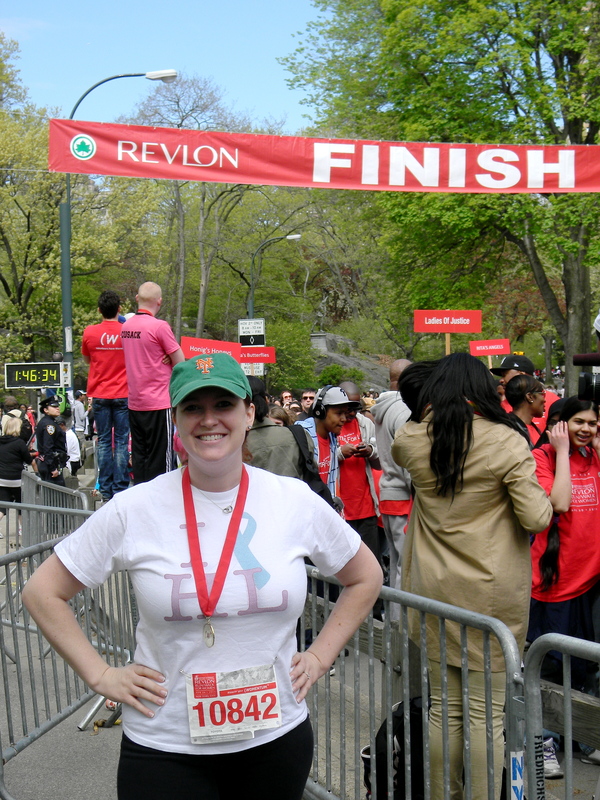 After speaking with my girlfriend, Lindsay, she mentioned that we may want to join them for the Revlon 5K in Manhattan because it was coincidentally the same weekend that we were planning on going into the city to visit my sister, Colleen. 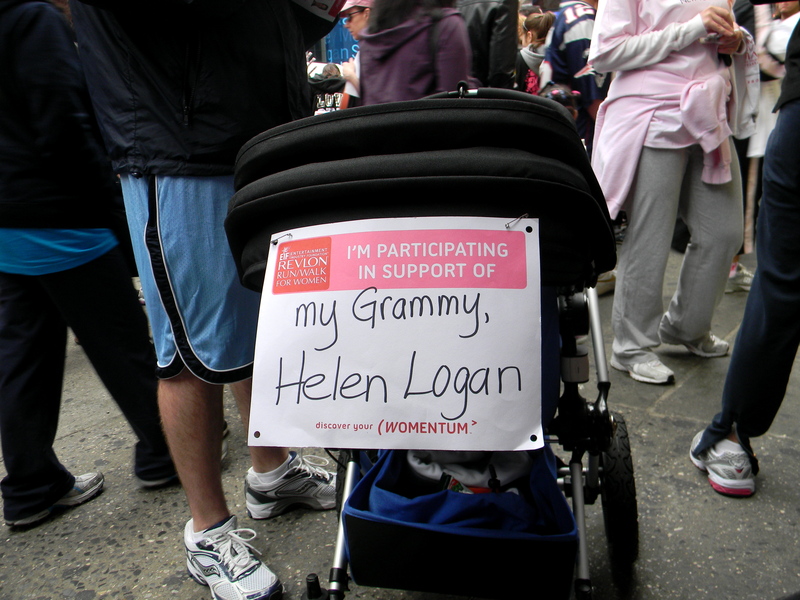 The race is a run/walk, however, participants who will be pushing strollers are asked to walk the race as not to run into other people at 5 MPH. Ouch. We all got our little bums out of bed at the crack of 6:45 to get out the door and on the train in time for the start of the race. Jack was anything but happy about the early wakeup, but I assured him that it was to end women’s cancers and he was all “Oh then that’s cool.” Such an easy-going toddler. 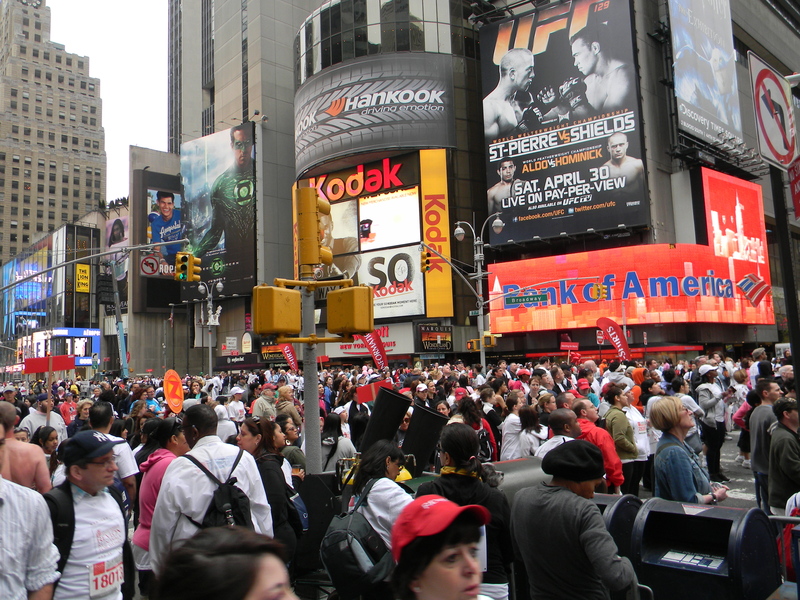 For anyone who has ever stood smack dab in the middle of Times Square, you know that it is chaotic, busy, packed with people and noisy. Well, add almost 25,000 runners and walkers for a race, celebrity onlookers (Jimmy Fallon, Jessica Alba, Dr. Oz, and Nate Berkus anyone?) and it is a freaking mess. We stood up against one the two TGIFridays windows as we were being smushed by people walking by and group teams who decided to park it and wait for their teams on the sidewalk. Umm…no dice. Jack is ready to go! 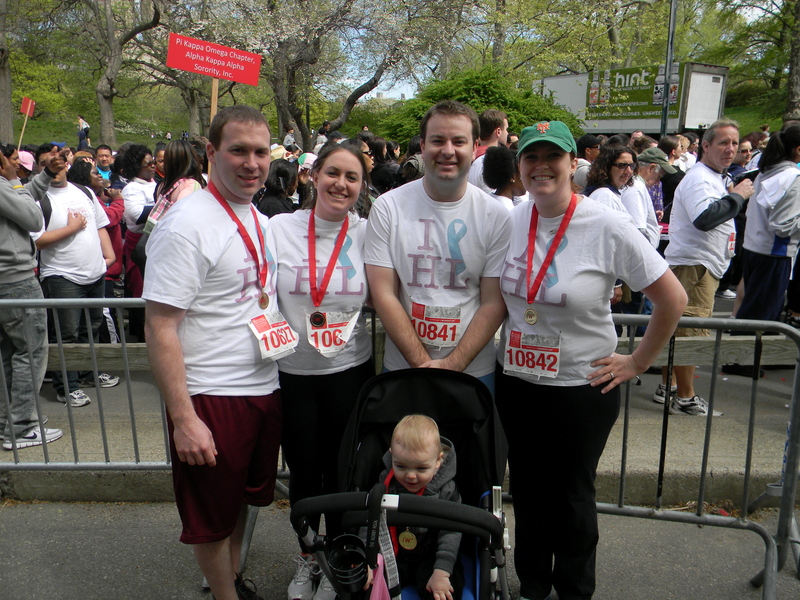 We met up with two of our other friends who were running in the race, but unfortunately, we could not meet with our friends Lindsay, Mark and baby Greg who we planned on walking with before the race began. 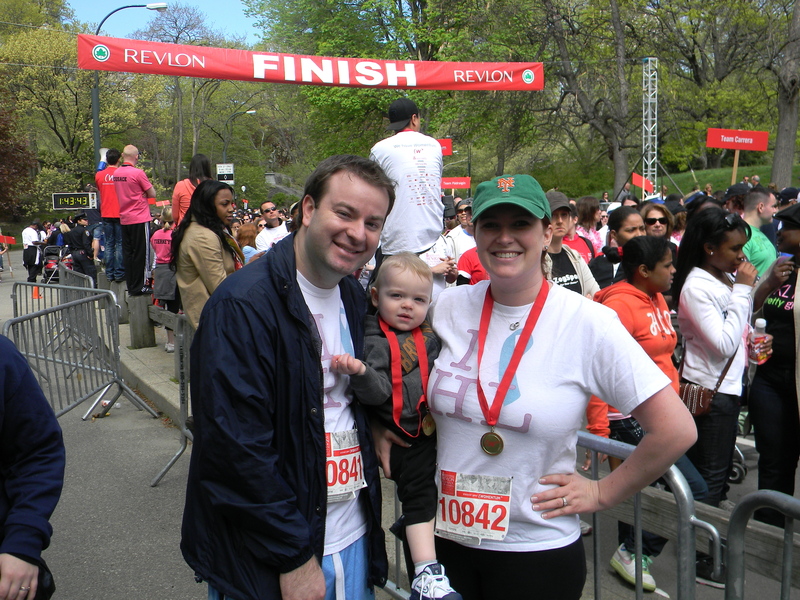 Thanks to cell phones and creative barrier hopping with a stroller, we met them at the start and were on our way! 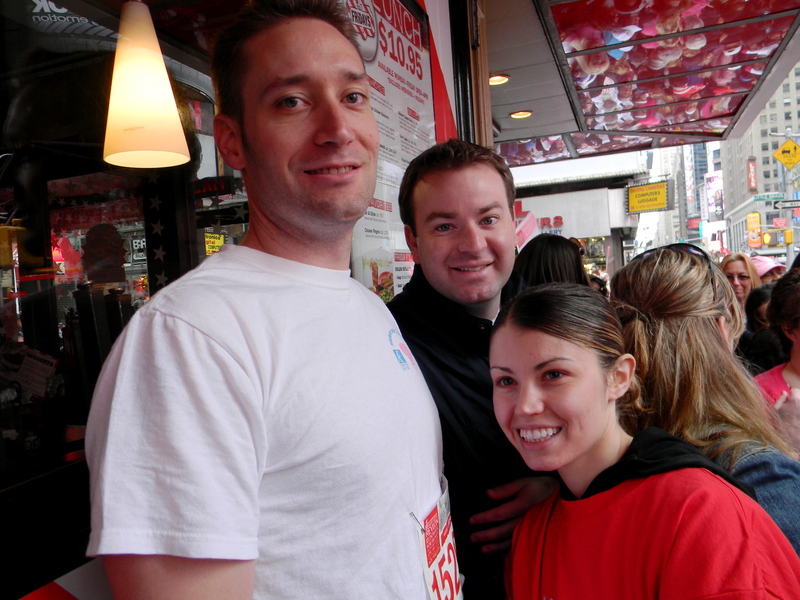 Granted, we started the race late, so we didn’t hit the 1 mile marker until around 35 minutes, but we were also trying to keep up with the crowd and the thousands of walkers around us. The 5K this year was a bit shorter than previous years due to construction in the park and other chaos. 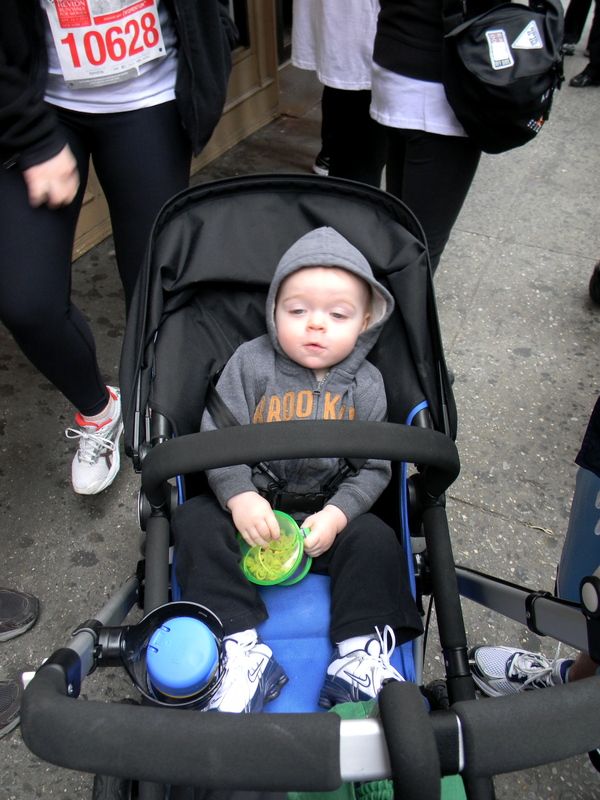 Which is just as well because Jack was finished with riding in the stroller. 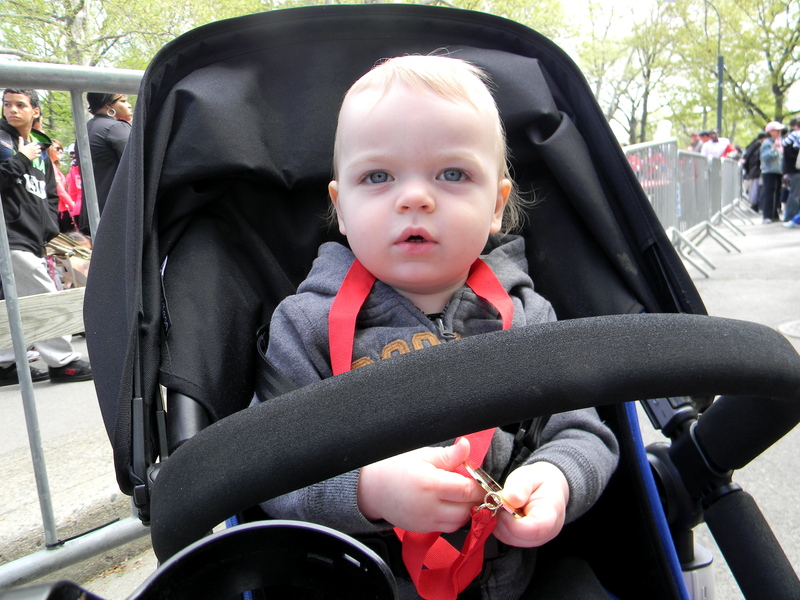 After a few pit stops for diaper changes in central park, photos of the group and helping Lindsay get situated to nurse baby Greg in the Ergo while doing a 5K while giving directions and while talking on the phone (multitasking at its best! 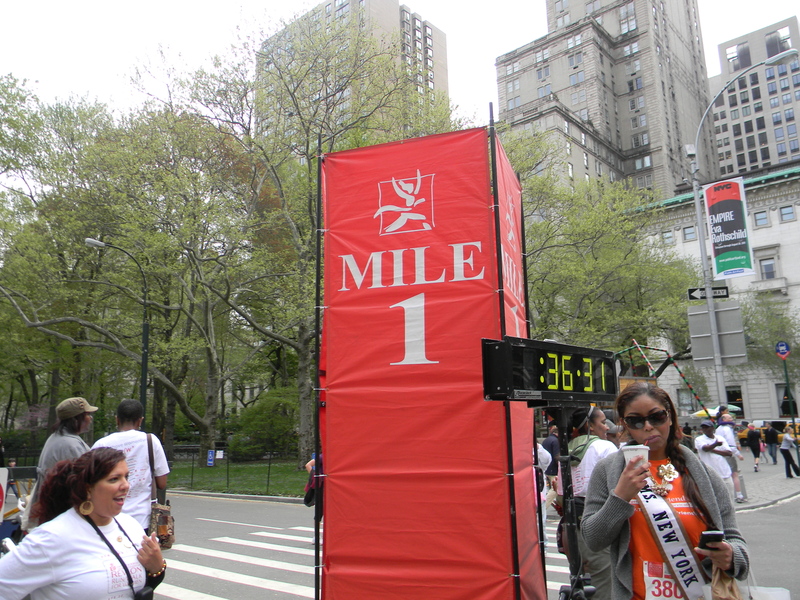 ), we were thrilled to cross the finish line with a sense of accomplishment. 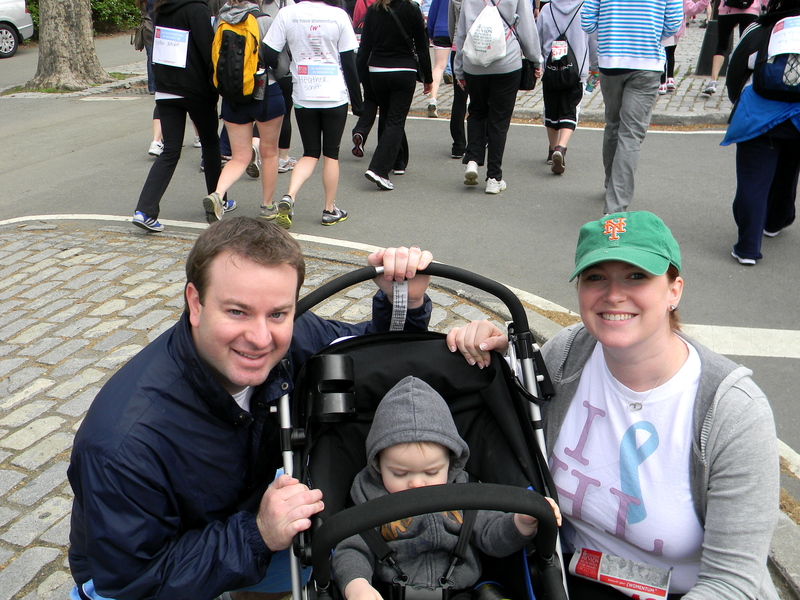 We as a family participated in support of my Mom who is still battling Stage 4 Cervical Cancer, and even Jack’s stroller got its own special sign. 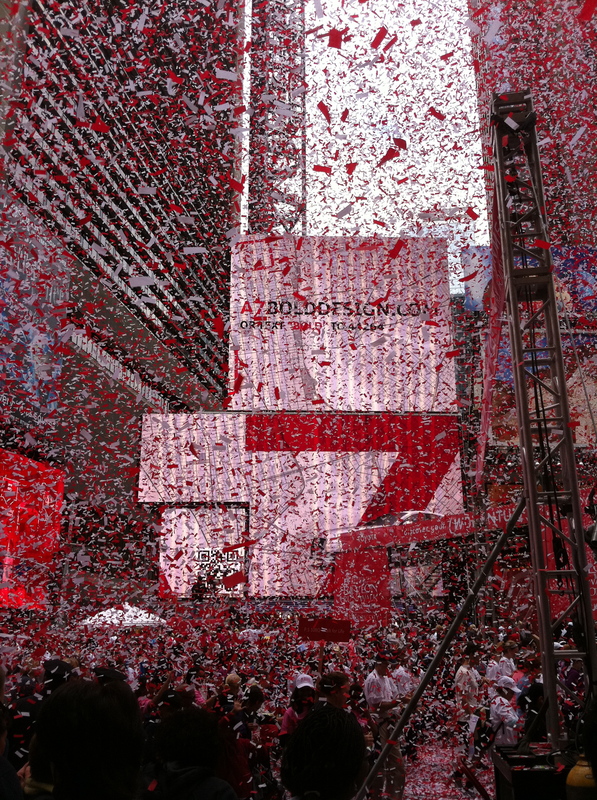 It was a beautiful day of camaraderie and people coming together to end such a horrible disease. Hopefully the money raised will help to eradicate all women’s cancers so that no other women will have to endure awful chemotherapy, radiation, mastectomies, and deaths from any of these diseases. No other families will ever be changed for the worst with having to grow up without a mother, grandmother, aunt, sister, cousin or friend. We just did our part to say that we won’t stand for this and that we have the Womentum to fight until all women’s cancers are no more. 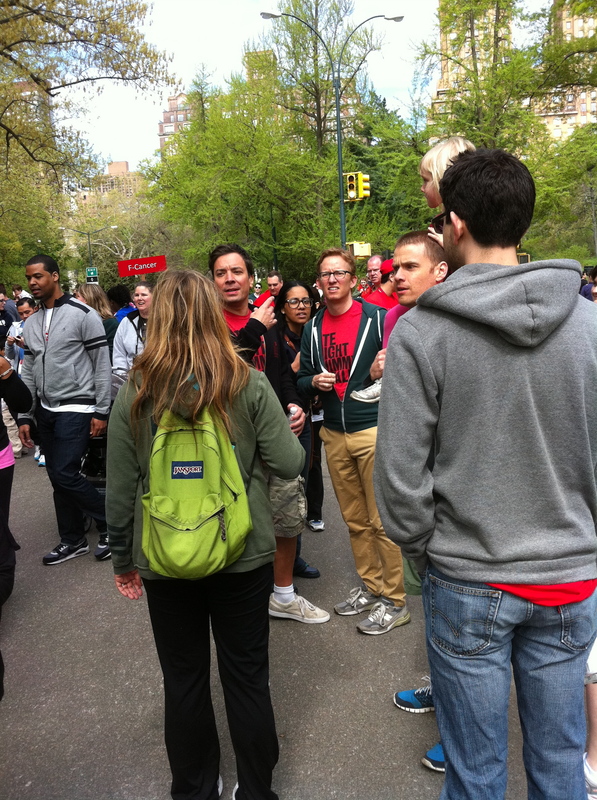 Additionally…can I just say that it was awesome to turn around in Central Park steps away from the Finish line and see Jimmy Fallon walking with us?! For the past two weeks, we have been in hyper speed mode and things are finally starting to slow down a bit. My Great Aunt has her hip replaced a little over a week ago and was moved to a rehabilitation home to begin the long process of getting back on her feet. The doctor assured me that she is absolutely not out of the woods yet and that infection would be the biggest worry, but she seems to be getting back to her 98 year old self. Jack and I visited her several times at her new rehabilitation center and she reminded me that Jack is tall and that no 16 month old should weigh 26 pounds. Her suggestion? Stop feeding him so much. Her wry sense of humor and the candid way that she can put things gave me a sense of relief when she told me that the food there was not as bad as my cooking. Yep, I would say that she is on the road to recovery. She loved the hybrid Stargazer lillies that we brought her and told me that she would love some cake. Done and done. The next several days will be nothing short of craziness. Jack and I will be trying a new Mommy and Me class in town this Thursday, and the Irem Shrine Circus is in town, so we will be taking Jack tomorrow night to see the animals and acrobatics. Last Thursday, I took my Mom to the Oncologist and we had a good report. Her counts are good, but unfortunately, there are still no new treatments available for her. The doctor said to enjoy the time and the good days that we have, so we are! She leaves tomorrow for a week getaway to Naples, Florida to visit with her girlfriends. I am thrilled! Oh yeah, back to Spring! 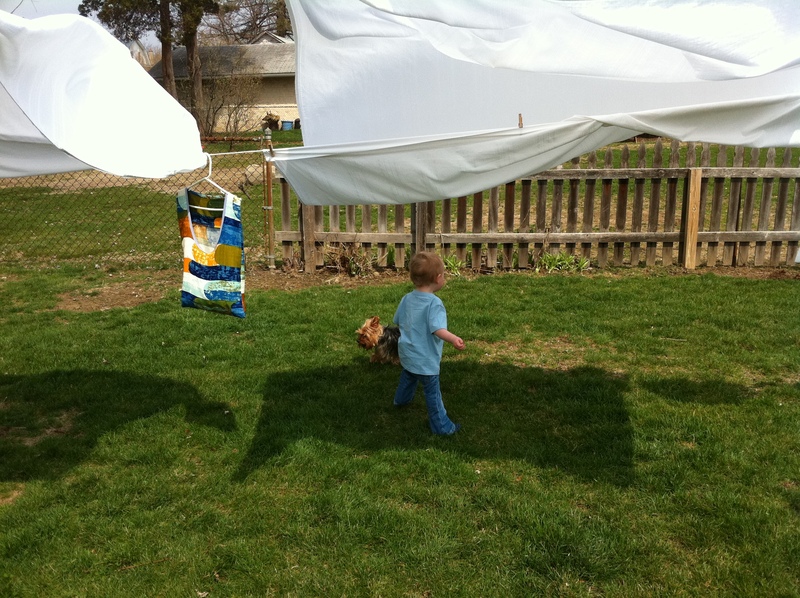 We spent much of Holy Thursday and Good Friday running errands, getting the things for our Easter dinner and hanging clothes outside. 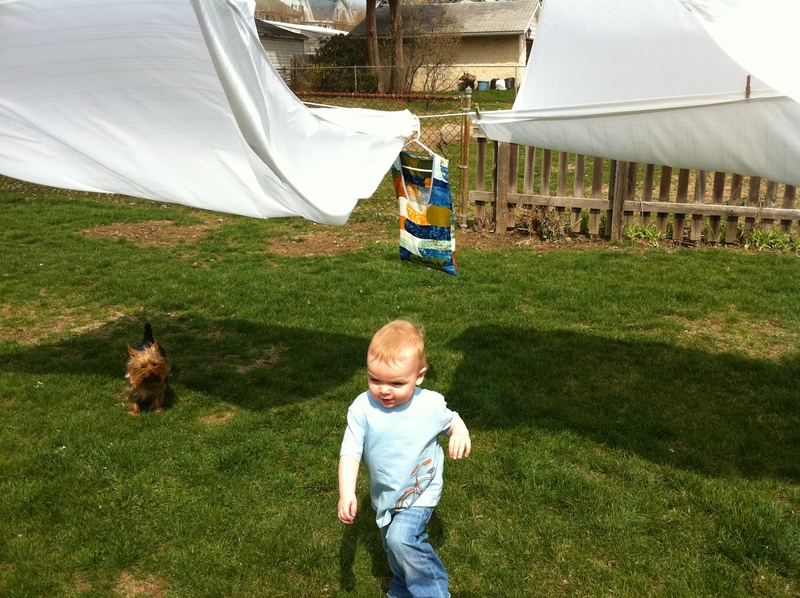 Jack ran through the lines and played with the dogs as we laughed and played with bubbles. An after-dinner walk was in order to get a child’s sundae from Dairy Queen. It has been great to see some warm weather, take some walks in the sun and just enjoy the fresh air and the beautiful weather! While reading several other blogs and seeing things posted on Twitter, I came to read the story of a little girl, Getty, who is only a few months younger than Jack and who has been fighting the good fight over SMA1. Tears filled my eyes as I read through blog posts about her trials and triumphs and I wept as I watched the video of her fishing with her Mom. Such a strong and brave little girl who has already touched the lives of many. Immediately I felt a longing inside of me to do something to help her. I noticed that there is a button on the site to purchase Lullabies for Getty on iTunes where the proceeds would go to The Getty Owl Foundation, which helps to find a cure for SMA. Since buying the album last week, Jack and I have been listening to these songs in the car, during breakfast, as we play, and I truly have to say that they are beautifully written and are becoming favorite songs of ours. Do yourself a favor and help a little girl who is battling an awful disease and in the meantime, purchase the Lullabies album and listen to the songs with your children.